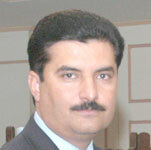 Mr. Faisal Karim Kundi was elected to the 13th National Assembly of Pakistan in the February 2008 General Election on a PPPP ticket. He was subsequently elected as the 17th Deputy Speaker of the National Assembly of Pakistan on March 19, 2008. As a young, first-time elected MNA at the age of 33, Kundi also has the distinction of being the youngest Deputy Speaker of the National Assembly of Pakistan. He serves as the Patron of the Young Parliamentarians Forum (YPF), a multi-party group of young Parliamentarians. He is also the Patron of the Youth Parliament Pakistan, a PILDAT initiative. Born on May 24, 1975 in Dera Ismail Khan, Mr. Kundi graduated with LLB in 2002 from Thames Valley College, UK. Kundi began his political career in 2003 and has served as the Divisional Coordinator of the Pakistan Peoples Party (PPP) for D. I. Khan. Senator S. M. Zafar is a prominent Constitutional lawyer and former Federal Minister of Law and Parliamentary Affairs, Pakistan. 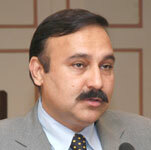 He is also the Chairman of the Human Rights Society of Pakistan and is involved with various developmental works. He has served as the Chairman of the Senate Committee on Education. He has also served as a member of the Parliamentary Committee on Constitutional Reforms: 2009-2010. He is politically affiliated with the Pakistan Muslim League (PML). Mr. Khurram Dastgir Khan was born in Gujranwala, Pakistan in 1970 and was educated at St. Joseph’s School and Cadet College Hassan Abdal. He was trained as an electrical engineer at California Institute of Technology and holds a degree in economics from Bowdoin College, both in the United States. He was elected to the National Assembly of Pakistan on February 18, 2008. 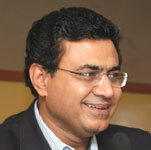 He was elected Chairman of the Standing Committee on Commerce on October 23, 2008. In Parliament, he has led legislative efforts on restructuring Pakistan’s anti-dumping and insurance statutes, regulation of foreign security agencies, empowering the Standing Committees with budgetary approval of ministries and, most recently, reform of high treason law. 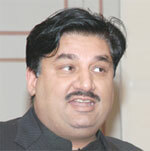 As Chairman, Khurram has revitalized the parliamentary Standing Committee that oversees Pakistan’s Commerce Ministry; Under his chairmanship, the Committee has performed vigorous oversight of the executive branch on trade policy, WTO regulations, Afghan Transit Trade, regulation of insurance industry, and integrity of government procurement. Mr. Khurram Dastgir Khan is affiliated politically with the principal opposition party, Pakistan Muslim League-N, where he was the Central Joint Secretary during 2006-2009. He has also served previously as Special Assistant to Prime Minister Nawaz Sharif in 1999. During 1999-2008, he led resistance in Gujranwala against the dictatorial rule of Gen. Pervez Musharraf. Ms. Anusha Rahman Khan is politically affiliated with PML-N and was elected for the first time as a Member of the National Assembly of Pakistan in 2008. She serves as member of the National Assembly Standing Committees on Law, Justice and Parliamentary Affairs; Information Technology and Communication and Science & Technology. She is an elected General Secretary of the Young Parliamentarians Forum of the National Assembly, and a founding member of the Parliamentary Caucus against Corruption. She serves on the Board of Punjab Education Endowment Fund and Government Fatima Jinnah College for Women, Lahore. Ms. Rahman has been Central Vice President of the PML-N’s Lawyer’s Wing, and Deputy Convener, PML-N Legal and Anti Rigging Wing. Ms. Anusha Rahman graduated in Law in 1992 and secured a Masters in Law from University College London, United Kingdom, specializing in Law and Economics of regulated industries, networks and markets. Her legal practice has been in constitutional, corporate and telecommunication law and she has also worked as in-house Corporate Legal Counsel for a multinational mobile telecommunication operator in Pakistan. 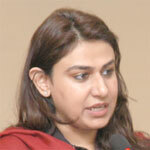 She has extensively travelled for both leisure and work and represented Pakistan on international forums. 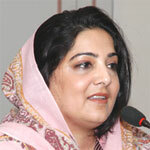 Ms. Anusha Rahman regularly writes in national newspapers. 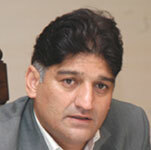 Mr. Nadeem Afzal Gondal was born on April 01, 1975 at Gujrat, Punjab. Mr. Gondal started his political career when he was elected as Tehsil Nazim, Malakwal, District Mandi Bahauddin, Punjab. Politically affiliated with Pakistan Peoples Party Parliamentarian (PPPP), Mr. Gondal was elected as Member National Assembly of Pakistan in General Election 2008. Currently he is Chairman of the National Assembly Public Accounts Committee. 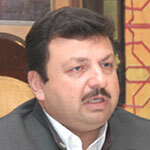 Dr. Tariq Fazal Chaudhary was born on 6th July, 1969. His place of birth is Chak Shahzad, Islamabad. He contested for general election on February 18, 2008 and was elected as a Member of National Assembly on the ticket of Pakistan Muslim League (PML-N) from the Constituency No 49 Islamabad II. At present he is the President of PML(N), Islamabad. Also, he has remained Member of the Central Working Committee and Parliamentary Board of PML (N) in 2005. The founder Executive Director of PILDAT, Mr. Ahmed Bilal Mehboob has over 20 years’ experience in senior management and advisory positions and over 10 years experience in design, planning and implementation of legislative strengthening projects involving national and provincial legislatures. His major area of work has been in the forefront of strengthening democracy and democratic institutions and providing thorough leadership on crucial issues that affect democracy, governance and political growth in the country. Mr. Mehboob has carved and spearheaded a non partisan political research initiative from the platform of PILDAT, an independent, non-partisan think tank of Pakistan. 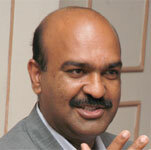 He is respected widely as an analyst on political, governance-related and legislative issues. Mr. Mehboob holds a B.Sc. degree in Civil Engineering from the University of Engineering & Technology Lahore, Pakistan. As an engineer, he has served outside Pakistan in the Middle East and USA. As a student activist, Mr. Mehboob was elected as President, Engineering University Students Union from 1971-1972 and also served as Chairman, Lahore Students Council in 1972. Ms. Aasiya Riaz, Joint Director of PILDAT, coordinates various research projects within PILDAT and manages PILDAT’s projects and activities as PILDAT's co-director. She has over 10 years’ experience of working in the field of research, management and analysis. She has been working in the areas of democratic and legislative strengthening; research on political and public policy issues; civil-military relations; dialogues between the Muslim World and the West and Electoral Process, etc. Trained in the field of media and political communication at the London School of Economics, UK, Aasiya has worked with the mainstream press and electronic media in Pakistan as well. She was also a Reagan-Fascell Democracy Fellow at the National Endowment for Democracy, USA where she worked on US Think Tanks and the subject of Civil-Military Relations. Aasiya also graduated from the Stanford University, USA Course on Democracy, Development and Rule of Law in August 2007. She regularly appears on national and international media for political analysis and commentaries. Senator Syed Fasih Iqbal is a leading journalist hailing from Quetta where he is the editor of daily Balochistan Times and Urdu daily Zamana. Starting his career as a journalist in 1955, he had been a human rights activist. He organised civil society in Balochistan and worked hard to awaken the conscience and consciousness of the people of the province to their civil rights. He helped them in getting their grievances addressed by not only highlighting these in his newspapers but also using his influence for the purpose. He has been brave enough to bear the pressure of Baloch Sardars and tribal chiefs as a representative of the downtrodden. He has been honoured with Hilal-i-Imtiaz and Sitara-i-Imtiaz for his meritorious services. 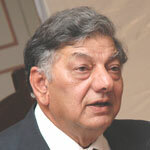 Mr. Riaz Hussain Khokhar is the former Foreign Secretary of Pakistan served from June 2002 to February 2005, when he was replaced by Mr. Riaz Mohammad Khan. He also served as Pakistan's ambassador to India (1992-1997), the United States (1997-1999) and China (1999-2002) before leading the top post of foreign ministry. 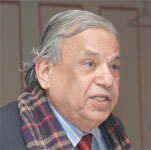 Dr. Nadeem Ul Haque, is the Deputy Chairman, Planning Commission Pakistan. He obtained his Ph.D. in Economics from University of Chicago, Chicago. He has wide-ranging operational experience over 24 years at the IMF, including leading technical assistance missions and policy and research teams, as a resident representative in two developing countries. He has also strong background in economic analysis and policy development, reflected in numerous publications in academic and policy journals and conference participation. He holds an extensive central banking and monetary policy experience. He initiated and successfully led a Central Bank modernization project in Sri Lanka, which involved downsizing, reorganizing, and retraining workers and reform of the monetary policy process and framework. He led the IMF team for developing training courses, including Financial Market Development, currently being used widely in member countries. Senator Muhammad Ishaq Dar is politically affiliated with the Pakistan Muslim League-Nawaz in the Senate of Pakistan. He is Leader of opposition in Senate and also serving as Parliamentary Leader of the PML-N in the Senate of Pakistan. He has earlier served as Finance & Commerce Minister of Pakistan. Dar is a graduate of the Punjab University where he received his Bachelor of Commerce with honours, and was awarded two Gold medals and Roll of Honour for First position in the University of Punjab. 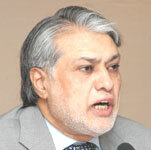 Dar received his Chartered Accountancy from ICAEW, UK. He was elected as member of National Assembly in 1993 and in 1997. Dar was elected as Senator in 2003 and later in 2006. In 1997, Dar was appointed as Federal Commerce Minister and then in 1998 he was given charge of Finance Minister also. Mr. Aftab Ahmad Chaudhry an MBA from Nicholls State University and is currently the Managing Director/CEO of the Lahore Stock Exchange Limited. Mr. Aftab has about 24 years of progressive job experience in logistical supply chain, administrative assignments, strategic asset, financial project budgetary, management positions and advisory consulting, commercial and regulatory entities both in Pakistan as well as abroad. He has also worked on a logistics assignment during the United Nations Operations in Somalia. Before joining LSE, Mr. Aftab was the regular Secretary General of the South Asian Federation of Exchanges, a SAARC recognized body. He also serves as a member of Task Force for the Review of the Code of Corporate Governance and the Committee for the Physical Trade and Market Development for Commodities. Nawabzada Malik Amad Khan is the State Minister of Foreign Affairs. He was born on March 08, 1973. After completing his studies in Islamabad he joined the Pakistan Army. He passed out from the Pakistan Military Academy, Kakul in 1992, and joined 26 Cavalry, an Armoured Corps Regiment. He resigned from the Pakistan Army in 1999 at the rank of Captain. Malik Amad Khan contested for the first time in the 2008 General Elections from home constituency NA-71 Mianwali. He won as an independent candidate and joined the PPPP. He is a landlord by profession. He has traveled extensively and has represented Pakistan at several national and international conferences pertaining to Security, International and Regional Cooperation, Development, Racism and Gender related issues. Raja Muhammad Shafqat Khan Abbasi, born on April 3, 1963, acquired the Degree of LL.B. (Hons) in 1988 from International Islamic University, Islamabad and M.A in Political Science from University of the Punjab, Lahore in 1989. 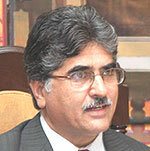 He is currently the Chairman, Press Council of Pakistan and Advocate Supreme Court Of Pakistan. 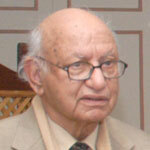 He is the former Judge Lahore High Court, 2009 and a former member of Pakistan Bar Council (2005-2010). He is also a human rights activist, who has attended various conferences and workshops, held in different parts of the country and abroad. He has been elected as Member Provincial Assembly of Punjab in General Elections 2002 from Murree, Kotli Sattian. Matiullah Jan is currently the Special Correspondent/ Anchor at Waqt News and was the former Anchor/ Deputy Bureau Chief at Dawn news, correspondent for Reuters Consumers TV at Thompson Reuters. He acquired Bachelors Degree in Political Science/History in 1988-1989, Masters in Defence & Strategic Studies, Defense and Foreign Policies in 1990-1992 from Quaid-e-Azam university, Islamabad and Masters in International Journalism, Broadcasting Journalism in 2001-2002 from City University, London UK . He was the Pakistan’s first Media Journalist to Move to On-Camera TV reporting in Pakistan before the advent of private media in 2002. Matiullah Jan was awarded Pakistan Television National Award for Best News Reporter in 1999-2000. Mian Raza Rabbani is the Chairman of the Parliamentary Committee on National Security. He is a Senator politically affiliated with the Pakistan Peoples Party Parliamentarian (PPPP) from the Sindh province. He has also very ably led the Parliamentary Committee on Constitutional Reforms in the current Parliament which has culminated in the proposals behind the 18th, 19th and 20th Constitutional Amendment Bills. He also chaired the 18th Constitutional Amendment Implementation Commission. 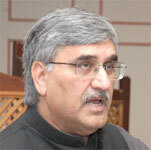 He has served as Federal Minister for Inter-Provincial Coordination. 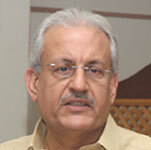 Raza Rabbani was born in Lahore on July 23, 1953. After his early education at the Habib Public School Karachi, he joined the University of Karachi where he got his B.A. and LLB degrees. Mian Raza Rabbani pioneered the National Organization of the Progressive Students and was its founder Chairman from 1971-1974. During previous Parliamentary tenures, Mian Raza Rabbani has served as Advisor to the Prime Minister on Inter-Provincial Coordination (March 2010-Feb 2011); Leader of the House, Senate of Pakistan (March 2008-March 2009); Leader of the Opposition, Senate of Pakistan (Jan 2005-March 2006) and (June 2006-March 2008); Member, Senate Standing Committee on Foreign Affairs (1996-1999); Member, Senate Standing Committee on Law & Justice (1996-1999); Chairman, Senate Standing Committee on Information and Broadcasting (1996-1999); Deputy Leader of the Opposition, Senate of Pakistan (1996-1999); Federal Minister of State for Law and Justice (1994-1996); Chairman, Senate Standing Committee on Sports and Culture (1993-1994) and Advisor to the Chief Minister Sindh for Co-operative (1988-1990). 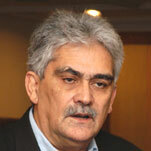 Dr. Ijaz Shafi Gilani is the Chairman and Chief Executive of the Gallup Pakistan. He has a Ph.D. in Political Science from the Massachusetts Institute of Technology (MIT), USA. He has also served as adviser to Prime Minister and Chairman of the Prime Minister's Committee for Research and Analysis from 1991-1993. 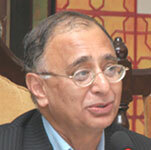 Dr. Gilani has directed electoral studies for all local bodies and national elections since 1979.